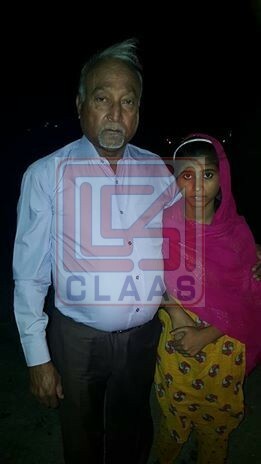 A Christian girl Sumbel 14 was forcibly converted into Islam by the local police official, Munir Ahmed who is Assistant Sub Inspector of City Police Station Hafiz Abad who kept her in his illegal detention from the last six months. On Sunday April 21, 2017 Sumbel’s mother Elizabeth age 37 widow of Arif Masih approached CLAAS office and met with Mr. M.A Joseph Francis National Director CLAAS and requested for legal assistance for the recovery of her daughter. Elizabeth has two daughters and four sons named as Sunny 23, Sittara 19, Hunny 17, Sumbel 14, Gopal 13 and Shehyar 10 years old. Her husband expired in 2013 due to diabetics Elizabeth’s elder son Sunny works as sweeper in NADRA office Hafiz Abad and he is the only breadwinner of the family. Sunny and his wife Shazia lived with Elizabeth in the rented house as joint family at Mohallah Hasan Town, Hafiz Abad. There were only two Christian families among the Muslim Community. Munir Ahmed, Elizabeth’s Muslim neighbor who is Assistant Sub Inspector of City Police Station Hafiz Abad has two sons, a wife named Muqdas and a sister in-law Mariram who lives with them. Elizabeth’s daughter Sumbel had friendship with Marriam and often they paid visits to each other’s home. Sumbel’s sister in-law Shazia wife of Sunny is deaf & dumb and could not listen & speak properly. Often Sumbel fought with her sister-in-law on minor issues. On December 06, 2016 Sumbel and Shazia had a quarrel on domestic issue and Shazia beaten Sumbel in Marriam presence. To settle the dispute Marriam offered Sumbel to visit her house. Sumbel went with Marriam and stayed there whole day. In evening her mother Elizabeth took Sumbel back to house. Later that night…… Munir intruded their house and asked Sumbel to go with him. Sumbel was in state of shocked and her brothers and mother tried to stopped Munir but he beaten them all and forcibly taken Sumbel with him. After two or three days Elizabeth submitted an application against Munir Ahmed in the same Police Station City Hafiz Abad where Munir was working as ASI. In result of application the local parish priest Fr. Mushtaq Payara telephonically requested to the concerned Station House Officer and asked him to resolve the matter. The concerned authorities called both families in the police station where Munir Ahmed produced the girl before them. When the concerned police officials asked Sumbel to join her mother and live with her. She was scared and did not say a word. Then Munir Ahmed stated that Sumbel embraced Islam and her Islamic name is Fatima. She lives with Munir to practice her Islamic religion and don’t want to go with her mother again. Elizabeth frequently tried to visit Munir house to meet her daughter. But Munir and his family never allow her to see Sumbel. They further shared that Sumbel will stay with her and they will married her off with some Muslim man. According to Elizabeth that Munir Ahmed is a corrupt police officer who brings the girls from Dar-Ul-Aman with bad intention at takes them at his home and then sold them to the other for prostitution. Majority of the girl were Christian who he had converted into Islam and then sold them. The local Muslim community against him and often he was dismissed from his service due to his bad reputation for time being but after some he rejoined his duty. 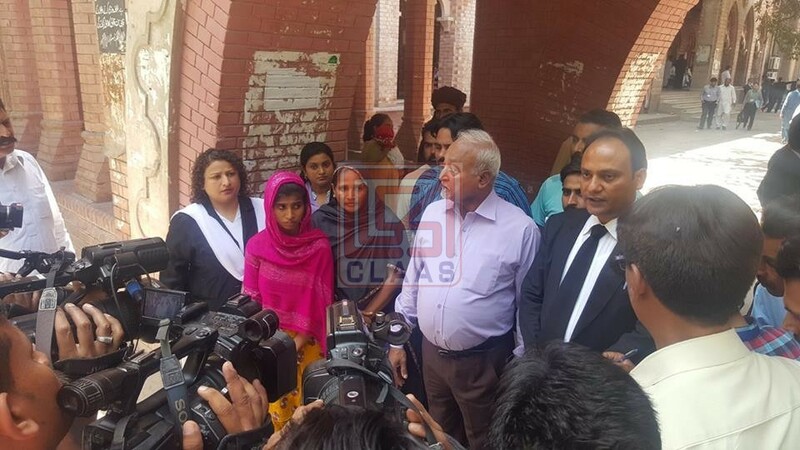 Elizabeth left her home and shifted at Lahore in a rented house and approached CLAAS office for legal assistance for the recovery of her daughter. 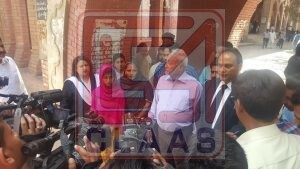 On April 26, 2017 CLAAS legal advisor Mr. Tahir Bashir Advocate filed a Habeas Corpus Petition on behalf of Elizabeth in Lahore High Court Lahore for the recovery of her daughter Sumbel and prayed for the registration of FIR against Munir Ahmed Assistant Sub-Inspector City Police Station Hafiz Abad. 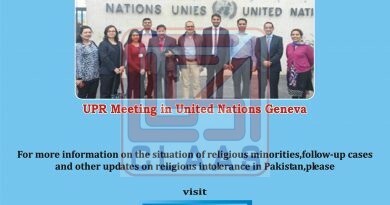 It was brought into the knowledge of the honorable that Munir Ahmed is involved in illegal activities and doing a business of sell and purchase of the women. Same day the court deputed bailiff for the recovery of Sumbel and ordered to produce her on April 27, 2017 before the honorable court. After court orders on April 26, 2017 CLAAS team headed by Mr. Joseph Francis National Director CLAAS along with court bailiff went to Hafiz Abad and succeeded to recover Sumbel from the house of Munir Ahmed. 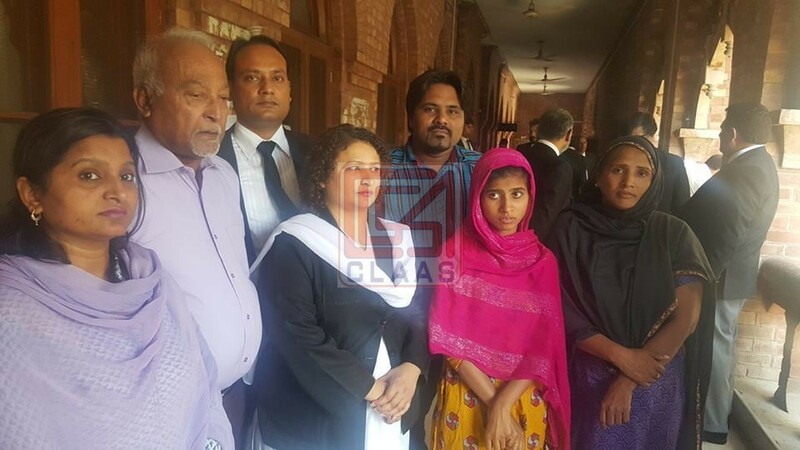 Today on April 27, 2017 Sumbel was produced before the honorable Lahore High Court Lahore and during the court hearing it was argued by the counsel of Munir Ahmed that minor Sumbel has embraced Islam with her freewill and consent. On the other hand the CLAAS lawyer argued that Sumbel is a minor and how can a minor change her religion. Further argued that minor Sumbel was induced by Munir Ahmed, his wife Muqdas and sister in-law Marriam and was forcibly kept in their custody. The court after hearing the lengthy arguments ordered to handover the custody of Sumbel to her mother Elizabeth. 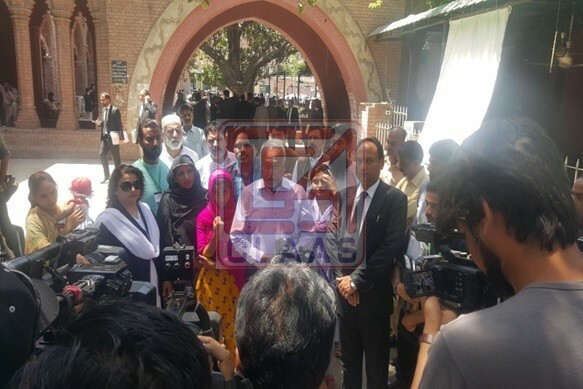 Further the court keeping in view the circumstance of the case passed a strict direction to the Station House Officer City Hafiz Abad to register a criminal case against Munir Ahmed, Muqdas and Marriam. Sumbel shared with CLAAS team that she had friendship with Marriam (Munir’s sister in-law) who are living in her neighbor. Sumbel stated that while her confinement at Munir’s house she was forced to attend the primary Quranic education school. She was also asked to practice Islam and named ‘Fatima Noor’. All day she was busy in household tasks and not allowed to go out from the house. While living with them she came to know that from last ten years they are selling the girls in market and to other men. Sumbel shared that there are two other girls Naina and Faiza also confined with her. According to Sumbel, the other girl Faiza was sold to a man in return of heavy amount. Muqdas prepared Sumbel that they will marry her off to a Muslim man. They also restricted her not to talk to anyone and if someone comes from biological family she should be refused to go back. Sumbel expressed her sadness and unhappiness while staying with that family but she cannot escape from the confinement.